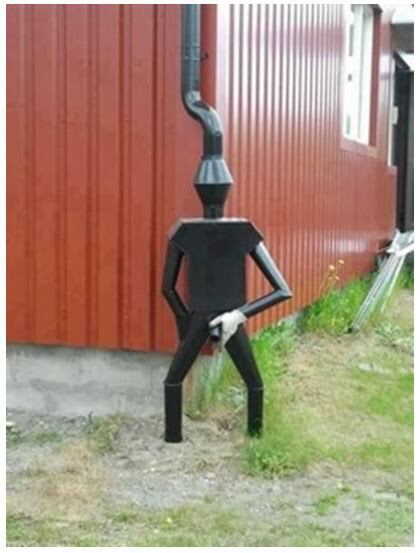 Earlier today, a friend's wife said to him, "Honey, get off your rear and fix that gutter downspout!" "And, I want it done before the end of the day!" So, he invited some of his "car buddies" over to help with the project. One is a sheet metal fabricator. One brought beer and nachos. One brought a grill and burgers. Took them about 6 hours, and 30 to 40 beers, but they got it done just as the last of the beer and burgers were gone. As usual, the wife is still not happy! Can't understand, cause all us guys love it. Personally, I cannot wait for rain. Okay, I'm with the wife! Men! That's an addition that would add value to ANY residence! LOL!